I have a problem and need your help. I can create basic pdf report as in below picture. But, when I try create predefine report with header and footer I cannot see report in list of report on CereusReporting tab as in picture below. Here are my settings for my predefine report. 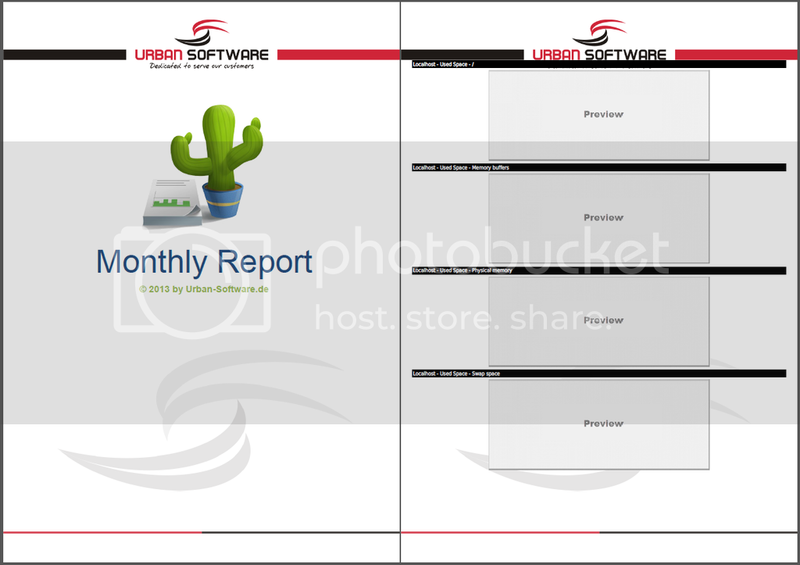 I also need to create report like in this link http://blog.network-outsourcing.de/wp-content/uploads/Monthly_Report.pdf that have a report cover. How can I create like this? Because I not see any settings that I can add a cover page. Thank you for your reply. After update to version 2.80.81, I'm still cannot load PDF template. Do you have any suggestion? Thanks for your prompt reply. 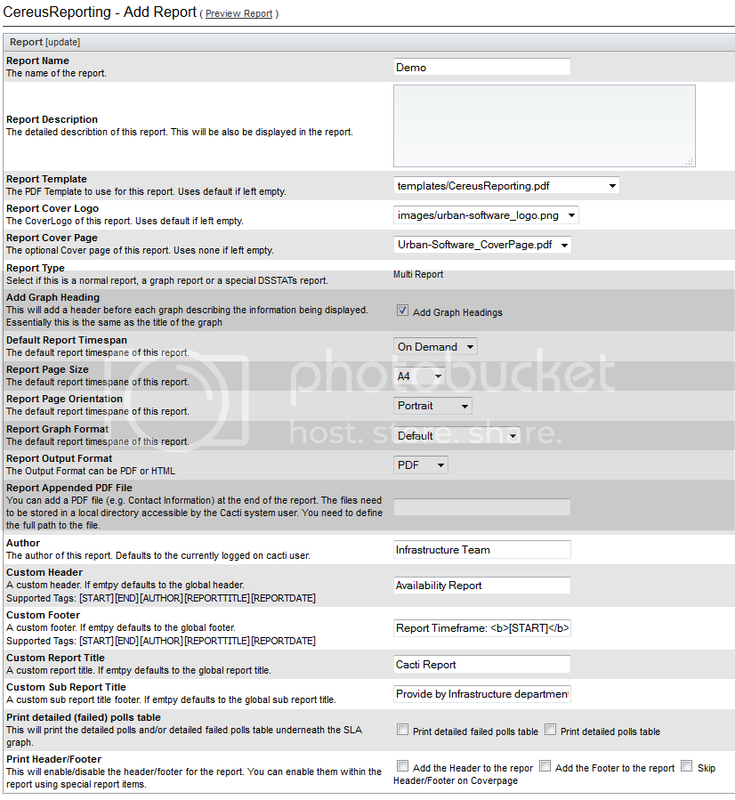 Now I chnage report name to your report template as in my last post. I can see your document template when I press preview report on top of add report menu. But, When I try to generrate report from graph view it not load document template as display in preview report. May I missiong some instructions, please suggest. 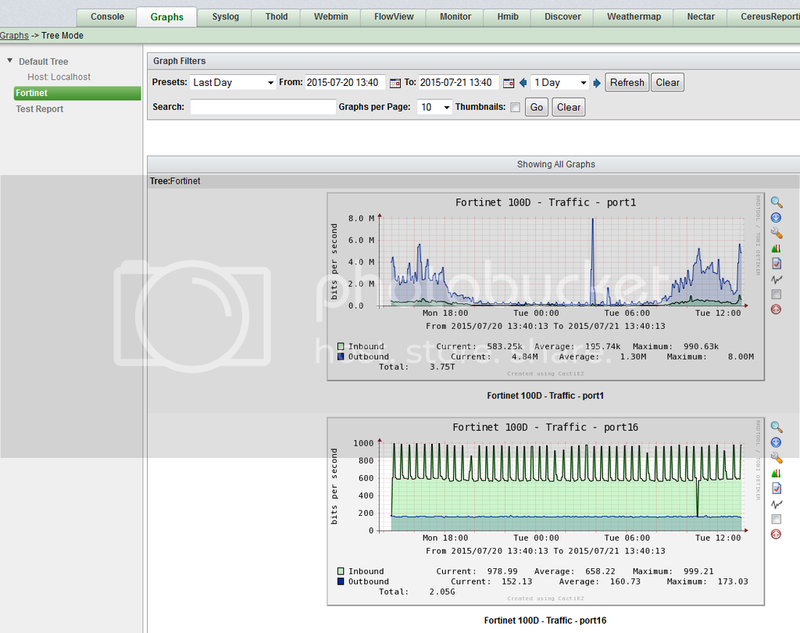 Below are picture from preview report and when generate from graph view. Graph view uses the templates defined for each tree. Then go to the Graph Trees in the console and select the templates you want to use. Thanks for you help!!! 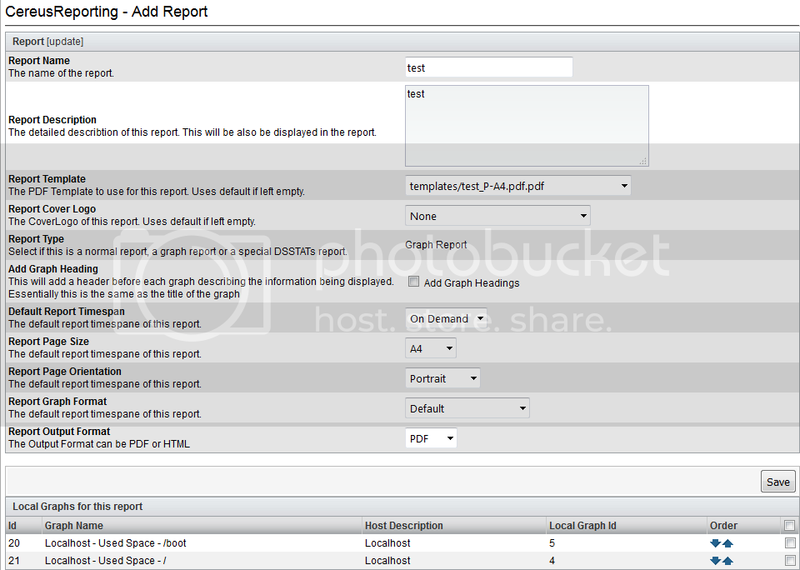 Now, I can create report with PDF template in tree view. Another one question, Is possible to add PDF cover page when create report from graph view? Last edited by backdoor on Tue Jul 21, 2015 1:09 am, edited 2 times in total. Unfortunately not. That feature is only implemented for the scheduled reports. Btw, you can generate these by removing the "Plugin -> CereusReporting -> View Archive" realm permission from your user. You can then use the "cereus" tab to generate the reports you have defined so you do not need to schedule these. How does your new graph tree look like ? Does it contain any sub-headers or hosts yet ? No report generate. If above error displayed. Sorry, Below is my tree. This may not work ( graphs on the top tree. ) try adding a sub-header first and put graphs on there. Thx phalek, you are the best!! !